TRAK’s Paycheck and Quick Gap calculators helps advisors educate clients. 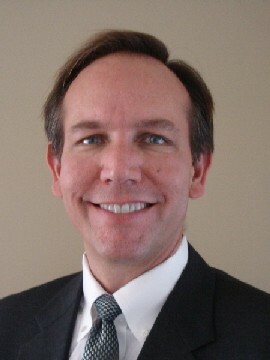 Rick McCallister, president of the McCallister Financial Group, provides retirement, tax and investment planning services from his Torrance, California offices. While McCallister works with people from all walks of life, including doctors, lawyers, business owners and other professionals, he and his firm have made working with educators a specialty. I started my practice in 1993. I have approximately 750 active clients now with about $50 million in assets. I have a fee-based practice and 70% of my business is in the 403(b) market. When I started working with teachers, the retirement illustration tools were usually provided by product manufacturers and marketing groups. These providers heavily branded them so you’d have to use several different ones to accomplish your goals when meeting with a client. This was a problem because our clients in the education market have the same anxieties about retirement that anyone has, perhaps even more, because they may not have the overall assets that high net worth clients have. Educators have special planning needs, and it was troubling that the industry’s lack of comprehensive illustration tools for educators made it difficult to provide them the same high quality experience that a high net worth client, who wasn’t an educator, would receive. I felt my clients’ occasional hesitation to take sound investment recommendations was often due to the fact that illustrating the complete investment rationale was so cumbersome. For me and other advisors, client hesitancy sometimes made the planning process longer than it would have been if a clearer case could have been made earlier on. Not only did this take more of my time, but it wasn’t in the client’s best interest to extend the process, or sometimes not take a good recommendation because the tools I had available made it more difficult to communicate the pros and cons to the client. As I went on, I discovered that the key to this marketplace was to give my clients as high quality an experience as possible. The more I did that, the more completely my clients accepted my advice and the faster they made their decisions. I was looking for tools that would help me do that. I started using TRAK in the late nineties and I still use it in almost every appointment with a new client. I like using the Quick Gap pension analysis feature, which requires that I gather information on all my clients’ assets in order to do my analysis and presentation. My assistant gathers most of that information before I see the clients. My clients understand that there is a benefit to them in providing this information – that they will see a complete overview of the impact making changes to their assets will have on their retirement. The first time I see my clients, TRAK allows me to show them just that – a customized personal analysis of their retirement status. Then I run different scenarios as I talk with them so they can see in real time how different options with their assets will affect their ability to retire. I use TRAK’s paycheck analysis feature to analyze the impact of the tax-sheltering aspect of 403(b). TRAK allows me to show my clients the exact impact of increasing the amount they are saving for retirement on their net pay in a vivid and clear way that is specific to them. This increases their comfort level in increasing their contributions, if that is necessary for them to reach their goals. TRAK also has a database that I keep all my clients information in so that I can go back a revisit the same illustration in future sessions with my clients. I bring up their specific retirement projection each time, so they can see if they are on track or if they need to make adjustments. TRAK has helped me make the move into a fee-based practice. Any advisor that wants to do this needs a tool like TRAK. TRAK has helped my clients see me as a coach and an educator. I am providing them a real, personalized service. This has also helped me keep my clients loyal to me because they know I’m providing them a very high level of service. TRAK helps set me apart because it helps me act as a trusted advisor, and my clients see me that way, instead of as a product salesman. That makes TRAK integral to fee-based practice.